Two ostriches were crushed as a protocol squad for President Mamnoon Hussain drove into the state guesthouse in Karachi in July 2014. While one died on the spot, the other ostrich has been left on the premises of the guesthouse without medical care even though its wings are broken. An official from the guesthouse said the VVIP vehicles were entering the guesthouse when the accident took place. The protocol team ordered that the dead ostrich be taken away from the guesthouse. According to wildlife and animal rights experts, the ostrich’s death should be treated as an offence under the Pakistan Prevention of Cruelty to Animals Act 1890 or the West Pakistan Prevention of cruelty to Animal Rules 1961. However, no action has been taken as a protocol officer of the guesthouse described the incident as “minute”. “We are not authorised to speak on this issue and I cannot confirm that the incident took place inside the guesthouse,” said Junaid Ahmed, a protocol officer to the president. 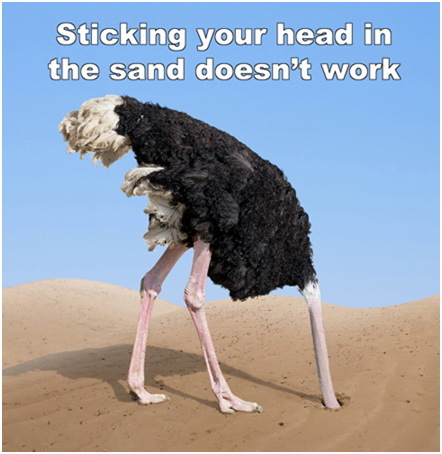 A senior PID official confirmed that one ostrich remains on the premises in injured condition and has not been treated. “Under the Pakistan Prevention of Cruelty to Animals Act, this offense is punishable for five years, but unfortunately the law is never put in place,” said wildlife conservationist Javed Mahar. 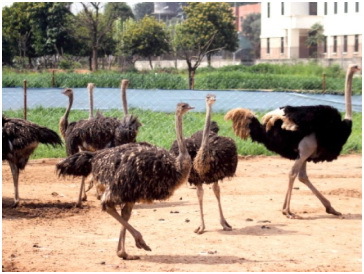 Mahar said that there are nearly 3,000 ostriches in Sindh, of which 2,500 are in Karachi, brought to the city to live in residences or farmhouses. “There’s no harm in having the ostrich in a residence, but these birds need adequate nourishment and appropriate shelter,” he said. Ostrich farming takes place around the world and the birds’ feathers are used for decorative purposes while ostrich skin is used for leather products and its meat is marketed commercially. Dr Zulfiqar Otho, an animal rights activist who also works for Pakistan Animal Welfare Society (PAWS) says that many wildlife species are nearing extinction, but influential people and even those sitting in government are involved in excessive hunting and the authorities seem to have turned a blind eye to the issue.